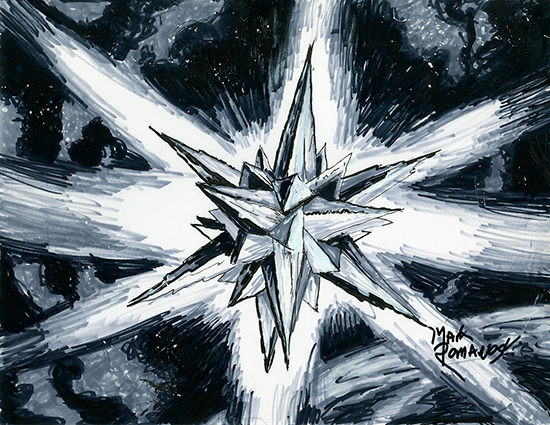 This piece is the original preliminary sketch for what would become the Magic the Gathering card Coldsteel Heart. Card number 136 of 155. Published by Wizards of the Coast.